The worlds of computer generated animation and blaxploitation might seem like strange bedfellows, but strange bedfellows sometimes bear beautiful (or at least very interesting) children. Guillaume Ivernel's Soul Man is just such an unusual offspring. 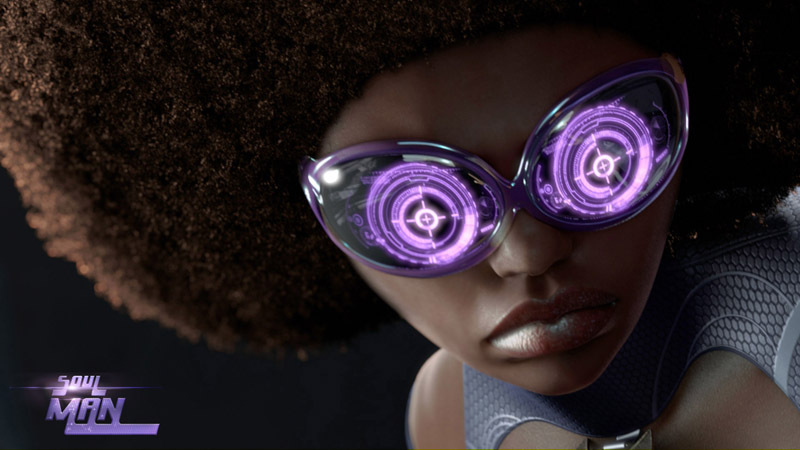 It’s a sci-fi actioner with a sassy vixen in the vein of Cleopatra Jones or Coffy as its protagonist. Blacklight Movies has put together a minute long promo/teaser to generate interest for the project. The mood seems to be tongue in cheek. There’s a hint of both Austin Powers and Undercover Brother to the proceedings. The action seems to be the only element presented in a “serious” manner is it appears to be of the gritty, bone crunching variety. The animation isn’t “photo realistic” but it’s vibrant and detailed. A retooled version of Lalo Schrifrin’s opening credits theme to the Dirty Harry flick Magnum Force provides the musical ambiance. An eight minute preview trailer will be unveiled at this years Cannes Film Festival, and the film is budgeted at 48 million dollars. The curiosity factor alone is enough to make one hope for this to be completed and released as quickly as possible. 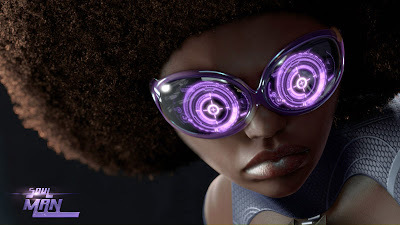 The world needs an afro sporting brown skinned heroine much more than talking cars and animals. *Special Thanks to Tambay over at Shadow And Act.